Hello. 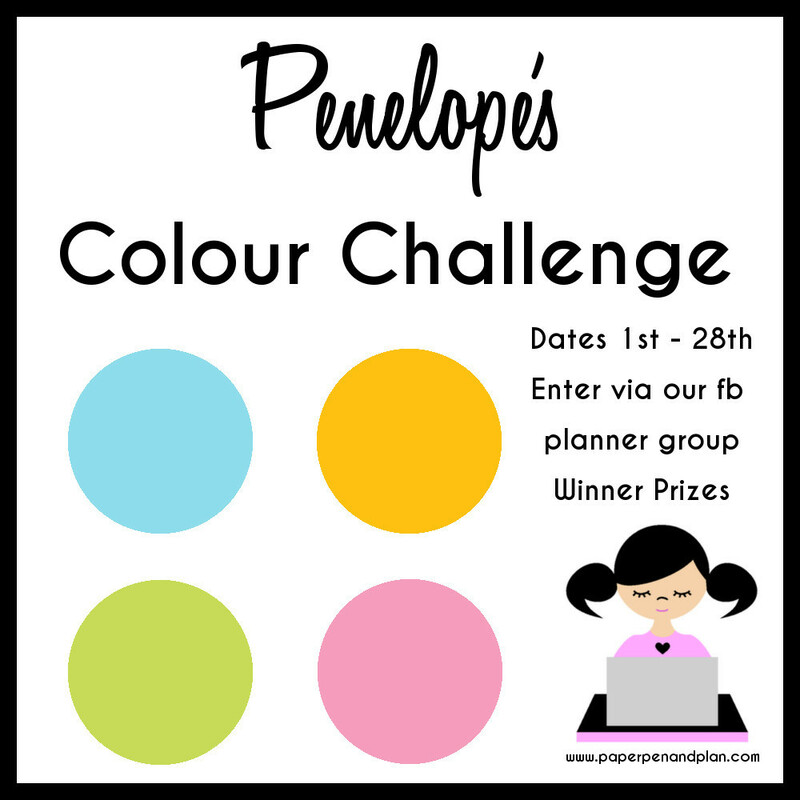 I'm back again with my monthly planner post. 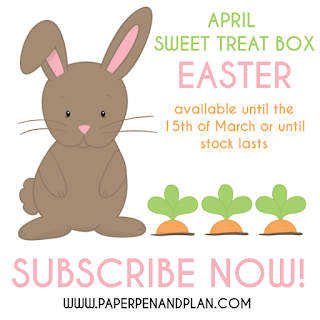 The theme of the March Sweet Treat Box from Paper, Pen and Plan is Owls. I'm still using my Filofax Geometric but I think for April I will switch to my pink KikkiK (but that will be for next months post). Here are the insert pages in action. The owl clips and pen were all included in the box. And, as the title suggests, you also get a 'sweet treat' in the box. This time a couple of Dime bars - yum! I coloured the dashboard with my Copic pens and layered it onto some pink cardstock (this hides the bleed through from the Copic pens). As well as everything in the box subscribers get access to planner printables - inserts, notepaper and patterned paper. If you want to see the contents of the entire box I did a little unboxing video which you can see here. 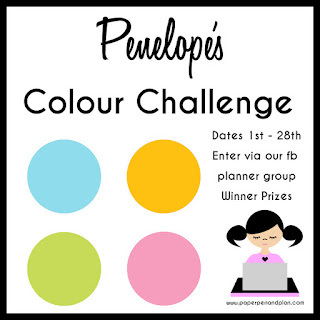 Want to win some Paper, Pen and Plan goodies? Well you can! Enter the challenge over on the Facebook page. All the information is here. And here is a hint at the theme of the April box - can't wait! So, if you want to know more about how the boxes work, order a one off box or subscribe to a monthly box simply click here. The girls at Paper, Pen and Plan also sell loads of cute planner bits and bobs (in fact I know a batch of gorgeous washi tape has just been added) over in the Etsy store here. How adorable is your bo bear and baby, beautifully coloured love the dies and your little butterflies are so cute, you have created a wonderful little scene .